« YNGWIE J. MALMSTEEN – “World On Fire” Tour Begins In May! 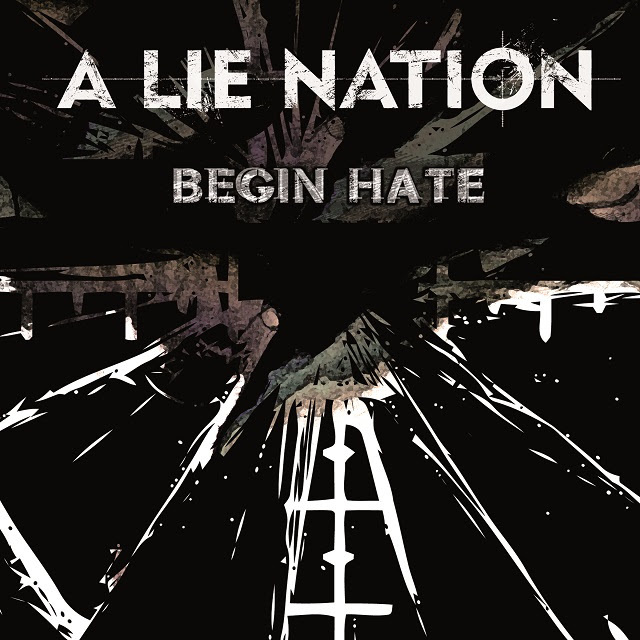 Finnish Melodic Extreme Metal quintet A Lie Nation will release their second EP, called “Begin Hate”, April 5th 2017 via Inverse Records. “Begin Hate” is rough, yet melodic, Extreme Metal with an original touch that fuses elements from Black and Death Metal with rock-like straightforwardness. The four song EP is a study of negative mindscapes of the human species and it spans from extreme aggression to apocalyptic and self-destructive atmospheres. Heavy hitting rhythms and razor sharp vocals are balanced out with intriguing melodies and smoothly grinding bass lines. “Begin Hate” does not bow to anyone or anything, but is sure to leave a mark with its energetic destructiveness. “Begin Hate” was recorded during the year 2016 at Oulu, Finland. Recording, mixing, mastering and the cover art has been fully produced within A Lie Nation. LONG LIVE A LIE NATION. This entry was posted on March 6, 2017 at 12:39 am and is filed under Hard Rock, Heavy Metal, Metal, Music, news, rock music, world news with tags 1970's heavy metal, a lie nation, Heavy Metal, Metal, metal albums 2017, metal odyssey. You can follow any responses to this entry through the RSS 2.0 feed. You can leave a response, or trackback from your own site.